At Hopscotch, we offer a safe, secure and rich learning environment for all children to develop and thrive ensuring we work alongside parents, carers and families at all times. We have an embedded system to ensure a key person is allocated to every child before they join our Nursery. The key person completes regular observations which are used to complete planning for the individual child's next steps. This includes the child's interests at home and in the Nursery. Regular assessments take place to identify and support each child's needs. These assessments are shared with the parents who are encouraged to add their comments which enables us to implement a joint approach. This includes our 2 and 3 year development checks alongside our progress mapping for each child. When a child initially starts with us, we strongly advise a settling in period. This enables us to gain background information on the child for example with regard to their individual needs, abilities and interests. 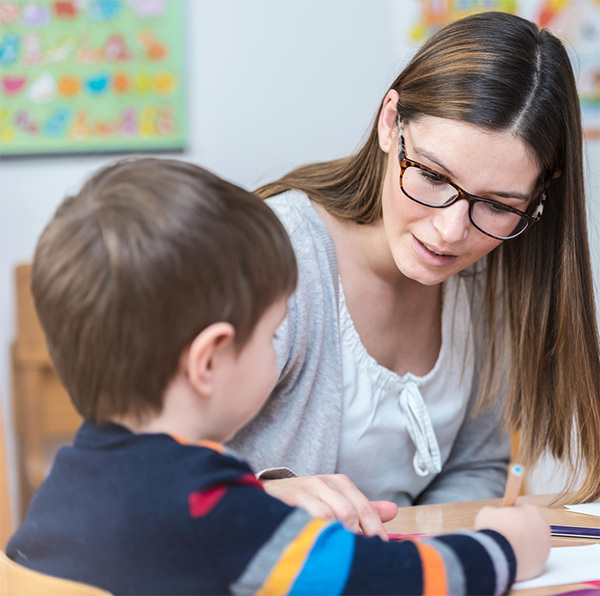 We have a nursery SENCO (Special Educational Needs Co-ordinator) who has been trained through our local authority and is updated on any changes to legislation and suggested resources. Our SENCO acts as a support for the child's key person, the child and their family to ensure that the child's individual needs are met. The SENCO will work with the key person and family to provide a personal plan for each individual child based around their abilities and interests and any support needed and identified. Our SENCO works alongside and liaises with outside agencies such as the Area SENCO, Early Years Inclusion Officer, Speech and Language Therapists, Health Visitors, and Occupational Therapists. Information sharing is only achieved once we have received written consent from the parent or carer. We have robust policies and procedures in place which are reviewed regularly ensuring that our resources and environments are suitable and accessible to all. If the family has English as an additional language they will be encouraged to share key words in their own language for the key person to understand the child. The Manager, key person and SENCO can work with the parents to provide the best care for the child to have the best access to all the resources and activities every day to meet their needs. Transitions are a key time for every child. The key person ensures these transitions are well planned and supported. When a child transfers to another room in the nursery, the key person works with the new key person to relay and hand over relevant information for the child. The parents/carer are invited into the setting to meet their child's new key person. When a child is ready to transfer to school, the new teachers will be invited to meet the key person and all relevant transitional supporting documents are completed and relayed to the school to ensure a smooth transition take place for all children.